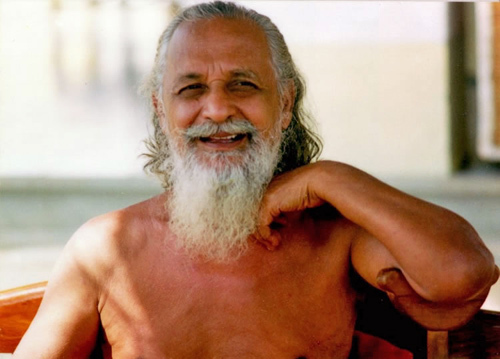 This deep relaxation yogic practice was developed by Paramahamsa Swami Satyananda Saraswati (1923 – 2009), the founder the Bihar School of Yoga, Munger, India, and the author of a plenty of yoga fundamental books and systemic yoga manuals. 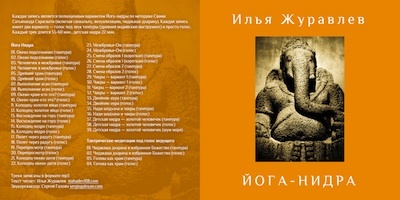 Yoga Nidra based on ancient tantric ritual texts with description of nyasa (‘nyasa’ means placing or taking the mind to some points in the body accompanied by mantra and visualization techniques) and on teacher-voice guided savasana practice. It frees up blocks and dissolves body tensions hidden deep in the subconscious and creating obstacles on the path to our goals. This is achieved through several techniques: taking the mind / consciousness to different points in the body in a specific sequence, making the body to remember different sensations (‘bodily memories’), enabling visualizationusing images and symbols that guide consciousness to a state of harmony, as well as observing the stream of consciousness in between the eyebrows (‘chidakash dharana’), which helps to learn how to meditate. A practitioner works out for themselves a “resolve formula” (sankalpa) – a chosen resolution to send to the subconscious. When one practices Yoga Nidra regularly, then one may achieve great results in spiritual development, quieting the mind, increasing vitality, healing diseases etc., previously thought to be impossible. The whole practice is performed while lying in savasana (the corpse pose). Before the yoga nidra practice it is good to have a 15-minute warm-up session, consisting of surya namaskar and a few basic asanas. Then you can come to lie down in savasana and turn the audio track on. Try to get rid of everything that can distract you: turn off your phone, close the door. If it is a cold season, bundle up — otherwise you can feel chilly because of lying still for a long time. You should lie on the flat level floor, on a mat or blanket. If you tend to hind-head or neck aches, put a soft pad under your head. You should not be worried if you sleep or drift off in Yoga Nidra skipping some parts of the guide. Time after time you will feel less tension and fatigue as relaxation and awareness deepen. You can practice every day (but no more than one session per day) at any time. Use the same sankalpa until you get the desired results in your real life. Then you can work with other sankalpa. Sankalpa should be simple and positive. Read more about this technique in the “Yoga Nidra” book by Swami Satyananda. Each mp3 recording is a full Yoga Nidra session based on Swami Satyananda Saraswati teachings (including sankalpa, visualization, and chidakash-dharana practices). There are 2 versions of Nidra – 01 (02) with visualization of flight through the rainbow, and 03 (04) with visualization of ocean of subconsciousness. You can choose track with voice and tanpura (meditative Indian string instrument) sound or just voice track.